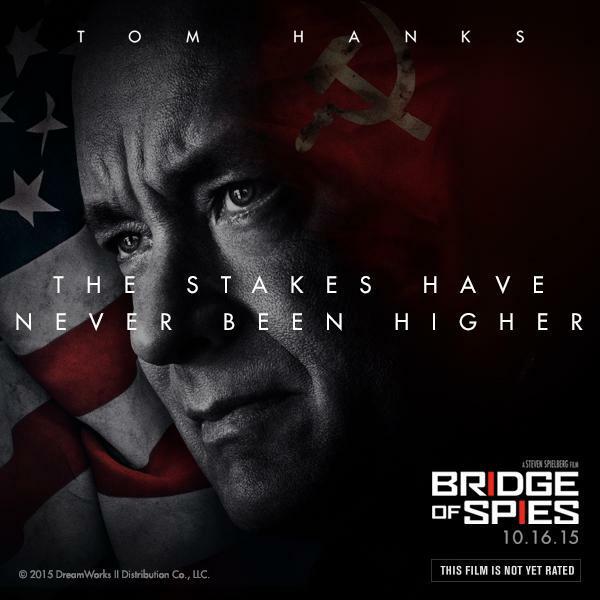 Today I had the chance to see the new Steven Spielberg film, Bridge of Spies, and to be honest I was a little disappointed. Maybe even a lot disappointed. When you have a movie directed by Steven Spielberg, based on historical events, co-written by the Coen Brothers you expect it to be one of the best of the year but I found it kind of a dull procedural. In fact it was both a dull courtroom movie and diplomatic negotiation movie in one…The trailer is also very deceptive in making you think it is going to be a tense thriller when it really isn’t. 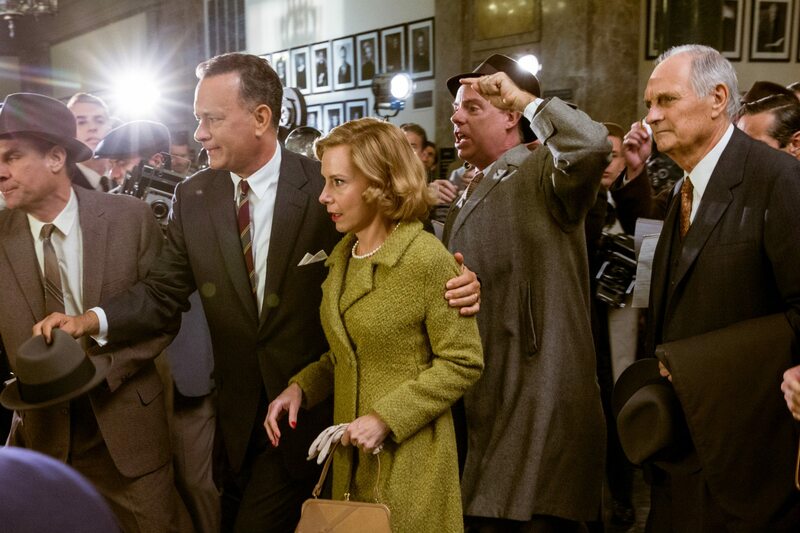 Tom Hanks is great as Jim Donovan who is assigned to represent a Soviet spy Rudolf Abel played by Mark Rylance. Abel is a character that will either work for you and you will find charming or will seem false. For me it was the latter, but I’ve heard a lot of people rave about the performance . I can see the Coen Brother’s influence particularly on that character. He’s very deadpan and funny, but I found him kind of one-note after a while. 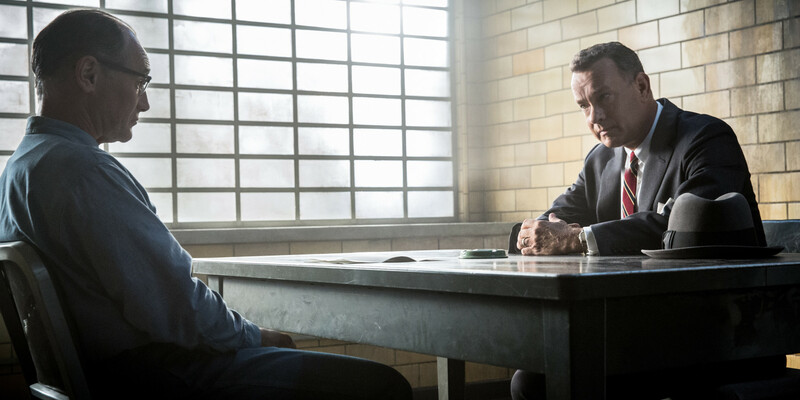 Hanks is normally an insurance lawyer and is hesitant (along with his wife played by Amy Ryan) to take the case but decides ‘everyone deserves representation’. That brings us to the first hour of the film which is a fairly standard court procedural. The acting is good and you see the pressure Donovan is under to help this guy that everyone hates. The two form a bond but again Abel is so deadpan that I didn’t sense any closeness on his side, only sympathy from Donovan. It’s a fine but fairly routine courtroom drama and Spielberg does a good job staging it but it wasn’t anything new or that different from say Woman in Gold earlier this year (there were a lot of things in this movie that reminded me of Woman in Gold, which really isn’t a good thing in my book). Eventually Donovan argues before the Supreme Court and the resulting verdict ends the first half of the film. It also reminded me during the courtroom sections of The Conspirator in its attempts to relate to modern issues but not as awful as that film did. It’s fine if a movie relates to current situations but don’t beat us over the head with it. There is a lot of speechifying in the first half of the movie mostly by Hanks but others as well. Spielberg is great at capturing little details. It almost reminded of Mad Men in that regard. Like it is the only movie I’ve seen from that era where you see the flash bulbs littered around the photographers covering a story. There are also segments that are picked up once and then never talked about again. For instance, we get a little story about Donovan’s daughter going on a date with his assistant and then that is never talked about again. We get little bits with his kids and at their school showing Doomsday videos but that is never really addressed again. Someone shoots up Donovan’s house but we never hear anything about that or any further danger to the family or him again. Those kind of things bothered me. 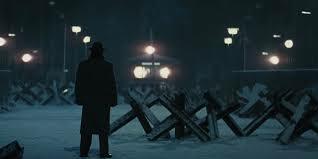 The second half of the film is when 2 Americans are detained by Communists- one by Russia, one by East Germany. The US Government recruits Donovan to work with Russia to get fallen soldier Gary Powers and they don’t want him to get the American student from the Germans. However, Donovan believes in ‘saving the one’ and meets with reps from both countries until a prisoner swap is orchestrated (which is telegraphed by the opening scene of the film when Donovan is discussing a 5 motorcycle crash with another lawyer). There are some good things about this section. Spielberg does a great job creating a sense of cold and Hanks feels very human as he is making these negotiations without any real experience as a diplomat. You feel his fatigue and frustration. But I think part of the problem is I didn’t really get to know either of the prisoners so I didn’t care that much what was happening to them. It is kind of like Woman in Gold in that sense. I loved Helen Mirren’s character but everyone else I didn’t really care about. Same here with Hanks and the prisoners. Also the other CIA guys seemed one note and predictable stick in the muds. I also thought a section where a plane is shot down looked kind of cheesy. I expected better special effects from Spielberg. It does end in a satisfactory way and over all it isn’t a terrible film, just disappointing. I actually nodded off twice which is a bad sign in the movie (only for a few seconds). It was nearly 2 1/2 hours and most of that is just people talking with little suspense or intrigue. I know I’m in the minority on this one but perhaps this will be my 2015’s Birdman or Gone Girl where I disagree with the critical mass. It’s not awful but I was let down. I personally never thought this film to be one with a lot of suspense or action, but as a film that is a courtroom/negotiations film, so it seems that the film will fit my expectations and hopefully I’ll like it. Cool. You may like it then. Pingback: Goosebumps Review | Reviewing All 54 Disney Animated Films And More! Ok, so I really enjoyed the film. I wasn’t really expecting a thriller; I was expecting basically what I got: just a drama about Tom Hanks trying to save the Russian spy. I loved the acting especially Tom Hanks! I can understand why people love Rylance’s performance and why it was nominated. I…liked it, I guess, but it was different and not a performance I was expecting. I loved the direction and the overall look of the film. I especially loved the story as I feel in the times that we live, this film is quite relevant. As a Muslim dealing with Islamophobia in this day and age and my community in particular (I know one family whose garage was shot at, I know of a mosque nearby that someone vandalized the security cameras and left pigs’ heads in, and our car was personally thrown rocks at while we were driving in it on the weekend after the Paris attacks), I feel we are like the Soviets were portrayed. I would feel if any Muslim were to be suspected of some crime here, that there would be a lot of people just wanting to hang him/her just because of actions done by terrorist groups overseas. So, this film hits home in that department. 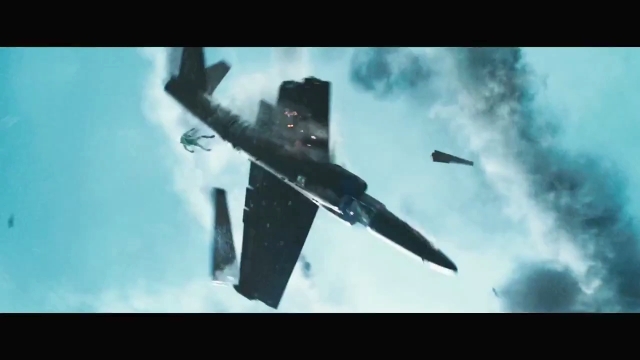 In terms of problems, I guess the plane scene was kinda cheesy, but it didn’t really bother me. The only thing I was bothered by was that the trailer seemed to show that the film was JUST about Tom Hanks defending the Russian spy. Heck, that barely finished in the first hour and the rest was about freeing the other two prisoners. But other than that, I don’t really have any complaints. Cool. I’m glad you enjoyed it and I can see how your experience it would be very impactful. It just seemed very conventional and bland to me. I got a little bored but I’m in the minority on that one clearly. The acting and production design is excellent. I guess if I was expecting a thriller, I’d have been bored. 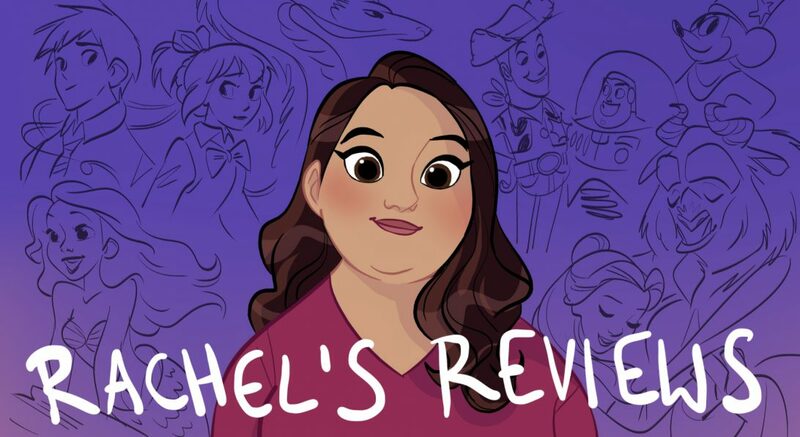 Pingback: The BFG Review (Spoilers) – Reviewing All 54 Disney Animated Films And More!